Donald I. Boyd arrived in Eau Claire in 1929 as the new high school band conductor. Almost immediately there was an improvement in the quality of the high school band. Although it was the middle of The Great Depression, the band's popularity enabled them to raise enough money to provide band uniforms, and their numbers increased from 30 to 75 members. "Sarge", as he was known to his students, set a high standard for gaining entry to the band and demanded a consistent quality from his players. As a strong advocate of precise marching style, his bands were noted for their high steps, quickened pace, and straight lines, as well as their superb tone and sound quality. Two major concerts were performed annually at the school and they were marked by familiar marches, overtures, and holiday music. Each concert concluded with Sousa's "Stars and Stripes Forever." Who could forget his line of seven or eight percussionists with white gloves rhythmically raising their drumsticks when playing that favorite march? "Sarge's" enthusiasm for music soon overflowed into the community, and his first concert in the park was June 2, 1932. 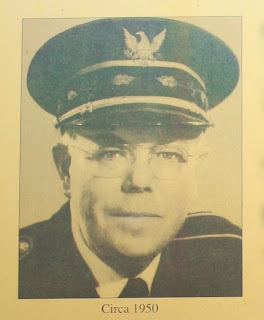 He organized a municipal band which played at patriotic events, the local hospital rotunda, and weekly summer concerts. The Owen Park Band Shell was planned due to the popularity of the 1930's band concerts. The band shell was submitted and paid for as a WPA project during The Great Depression. The debut concert was directed by "Sarge" on June 16, 1938. We lived in precarious times during World War II and the Korean Conflict and "Sarge" made hearts swell with pride when he marched his bands in many patriotic parades. They played vigorously with deep spirit for those called to be soldiers and sailors; some of whom never returned home. During his 34 years as Eau Claire Senior High band director and 46 years as municipal band director, Donald I. "Sarge" Boyd somehow found the way to inspire, thrill, and rouse his listeners. His legacy of excellence and pride in band music was recognized in 1992 with the naming of the Donald I. "Sarge" Boyd Band Shell in Owen Park. The marker is located in Owen Park, at the park entrance to the Owen Park Band Shell, easily accessible from northbound 1st Avenue, at its T-intersection with Broadway Street, Eau Claire, Wisconsin 54703.